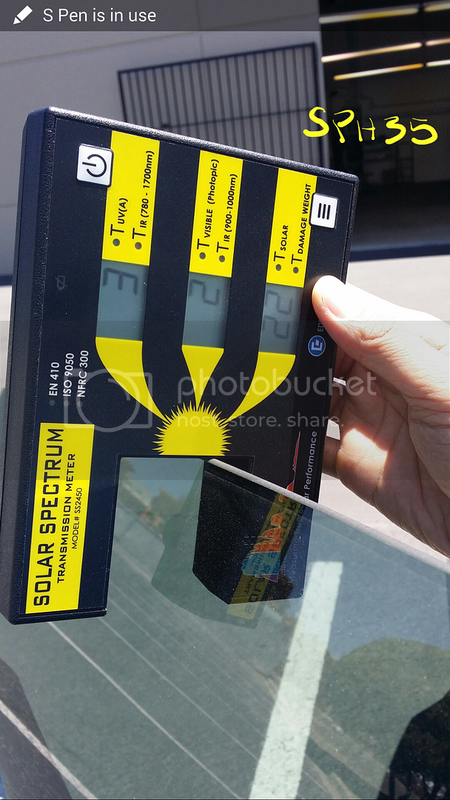 Spectra Photosync 75 installed to the windshield. Hard to tell it is even on there due to the high clarity of the 75. Thank you. We take pride in showing our customers the products we carry are solid. 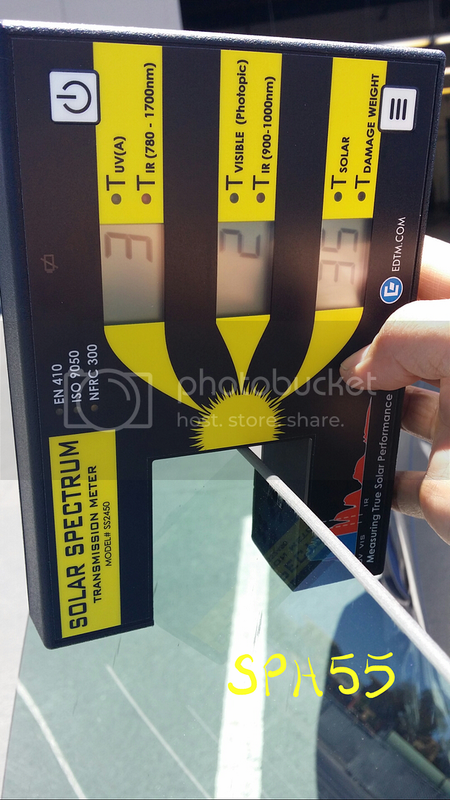 With that said, we conducted another test recently that showed a variance of over 45 degrees in a 90 minute test. This photo was taken towards the end of the day about 5pm to show what the visibility is like with Spectra PhotoSync75 on the windshield. Interior shot - Spectra PhotoSync 45 on the side glasses. By the way, the interior is gorgeous! This is the reason dashboards and leather seats tend to crack over time. Daily exposure to the sun's UV and infrared rays can wear down the interior significantly in a short amount of time. 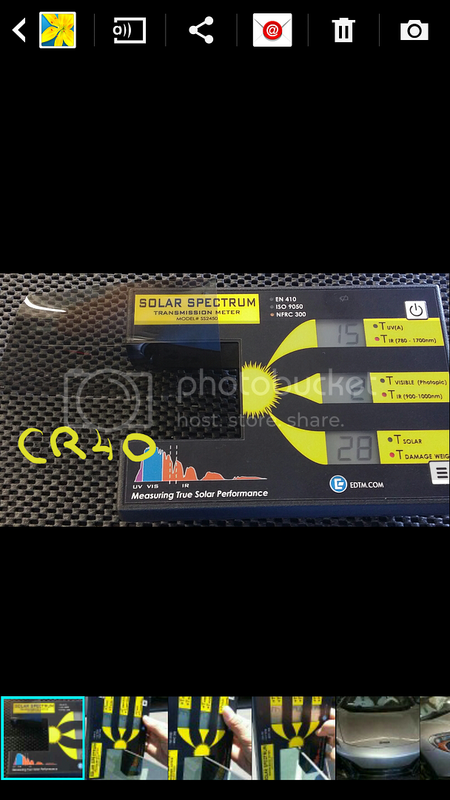 Product quality and performance is why we choose to use Spectra PhotoSync Nano Tint by Prestige Film Technologies. Last edited by Premier Films; 05-13-2014 at 04:38 PM. *this equipment is patented and a very accurate measuring tool we use. **as you can see the performance drops when you are looking at the higher IR range.